(A page from my Travel Journal). I left Mendoza (map) on Sunday morning for my second Andean crossing, this time back into Chile, to Valparaiso (Valpo) on the Pacific coast. The seats on the bus were very comfortable and I was served (by a steward on board!) a snack as the bus left the city limits. We passed mile after mile of the vineyards surrounding Mendoza before heading into the foothills of the Andes. The climb through the foothills was gradual and we were treated to beautiful vistas of the rugged mountains with their craggy peaks. I call these the foothills but in fact they’re a separate mountain range that runs parallel to the Andes and at an average of 2,000m, these mountains are quite a bit lower than the 5,000m+ peaks of the Andes. From Mendoza, we passed the foothills before climbing into the Andes. 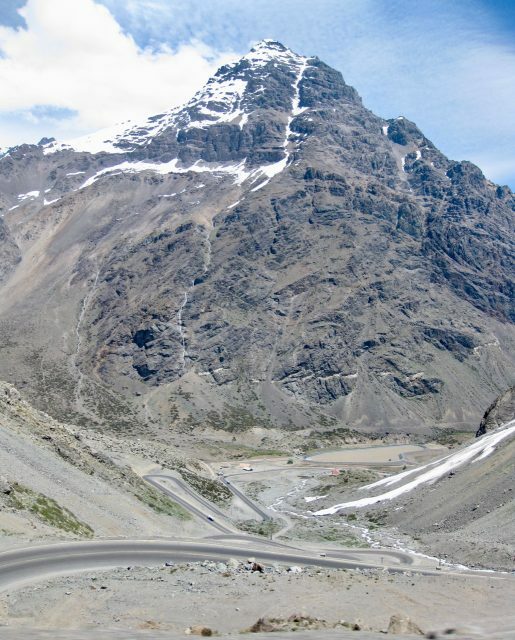 A glimpse of the lofty peaks of the Andes. 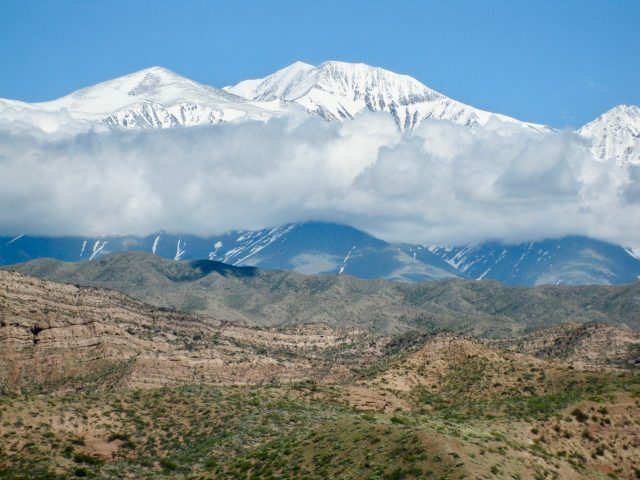 As we cleared the foothills, we entered a dry, shrubby plateau that is fed by a countless number of streams – the streams gush down the mountainsides, then seemingly disappear. Here and there, we spotted green oases with imported cypress and sycamore trees, and fruit orchards, all in the shadow of the snow-capped Andes. 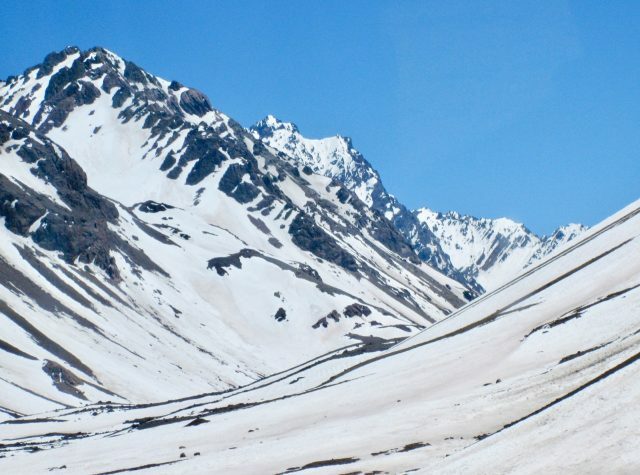 The bus continued along the plateau towards the Andes and we soon reached the foot of these imposing mountains where we turned off towards the Los Libertadores pass into Chile. On the way to the Los Libertadores Pass. The drive through the pass was just spectacular. The Andes loomed large on both sides, with sleek waterfalls tumbling down its sides. I’ve never seen such dazzling peaks before – it’s just awesome when you consider that these mountains are at least 5,000m high!! After three hours of truly outstanding scenery, we reached the Los Libertadores tunnel which took us under the mountains and into Chile. The scenery was simply staggering! Just when we thought the scenery couldn’t get better, it did. As we exited the tunnel, a brilliant snowy wonderland awaited us. On all sides, massive snow-covered peaks towered above us, their rock faces glistening in the sun. We could see waterfalls, streams, huge snow packs and the tips of glaciers. The scenery after we exited the Los Libertadores tunnel. Snowy mountain scenery after the tunnel. 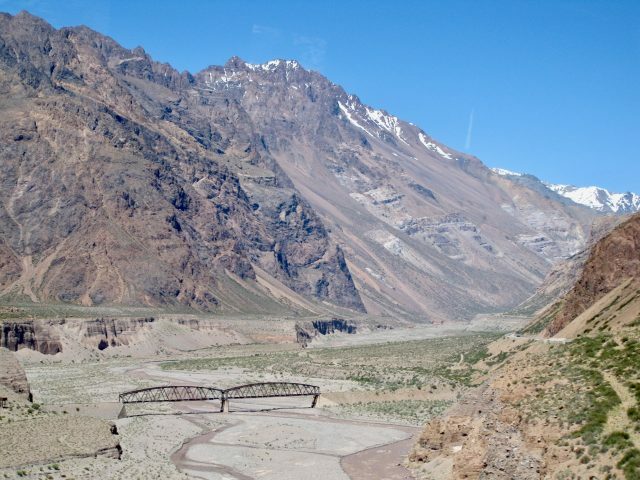 Read about the spectacular Andes crossing from San Pedro de Atacama to Salta. We soon arrived at the border checkpoint. 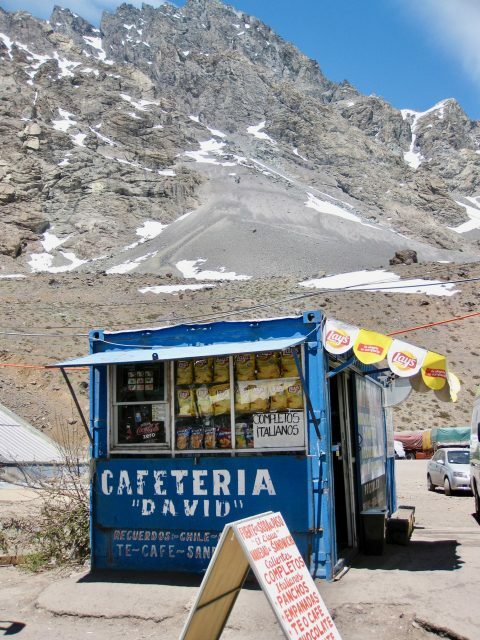 We got off the bus and just gaped at the scenery – I think we must’ve been at about 3,000m high but it wasn’t cold. 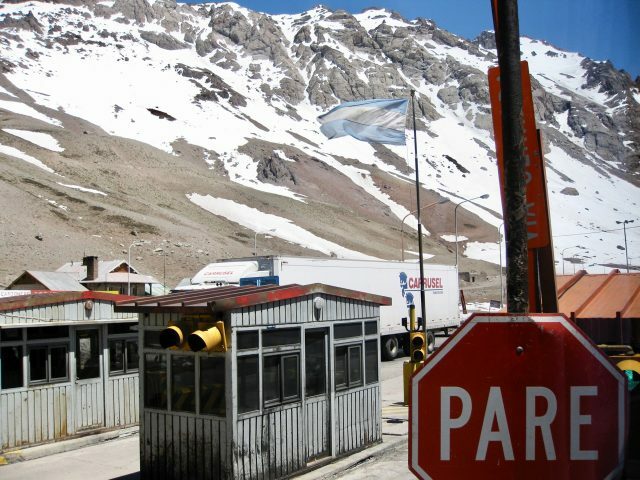 There was a massive queue of cars and buses – the Chilean customs are very strict: everything is searched – and after about half an hour, we were ushered into a large hangar-like immigrations/customs building. I stopped here for a coffee to warm up. We got into lines for the exit stamp from the Argentinian authorities, then an entry stamp from the Chileans. When the passports were done, we had to stand in another line, this time opposite the bus where all the luggage had been offloaded. Several officers came around to collect our customs forms, then two (adorable) sniffer dogs were led past each and every piece of luggage. When they were done, we were instructed to put our hand-luggage on the benches in front of us. The dogs came by again, sniffing every square inch. The whole immigrations/customs procedure lasted about an hour. When that was done, we were allowed back into the bus and we continued on our journey to Valparaiso. 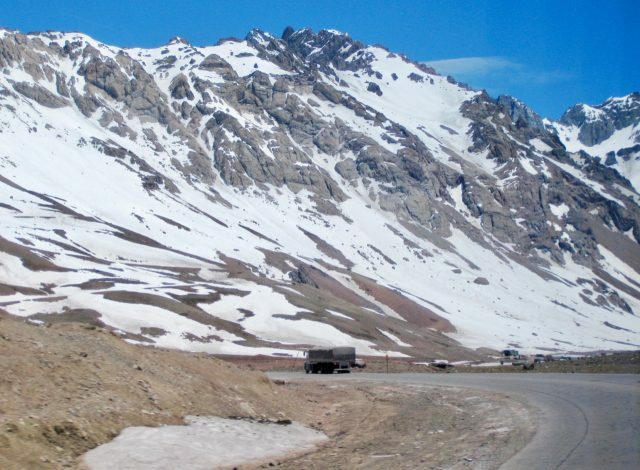 The Chilean side of the Andes was very different: there was a lot more snow and while the ascent on the Argentinian side was quite gradual, the descent on the Chilean side was steep. The road curled its way precariously down the mountainside, with each hairpin bend (and there were many of them) drawing ‘ooohs’ and ‘aaahhs’ from the passengers. Phenomenal stuff. I held my breath as the bus negotiated some of the tightest bends and wondered if my travel insurance plan covered panic attacks caused by acrophobia! The scenery was absolutely bewildering! We caught glimpses of Mount Aconcagua (at 6,960m, the Americas’ highest peak) as we descended into the Aconcagua Valley. 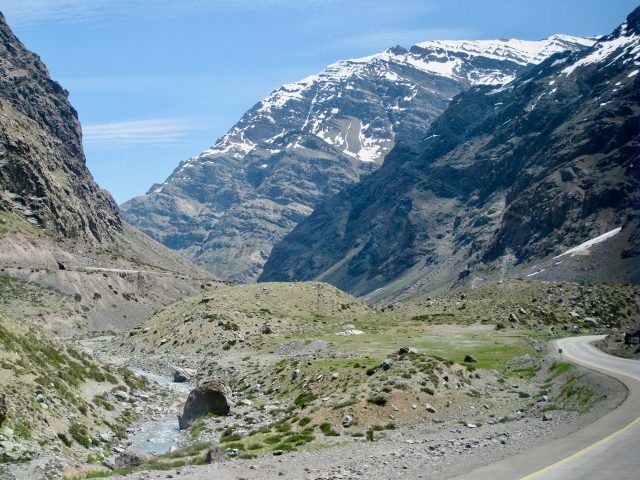 From here, it was a smooth drive, basically following the path of the impressive rapids of the Aconcagua river. 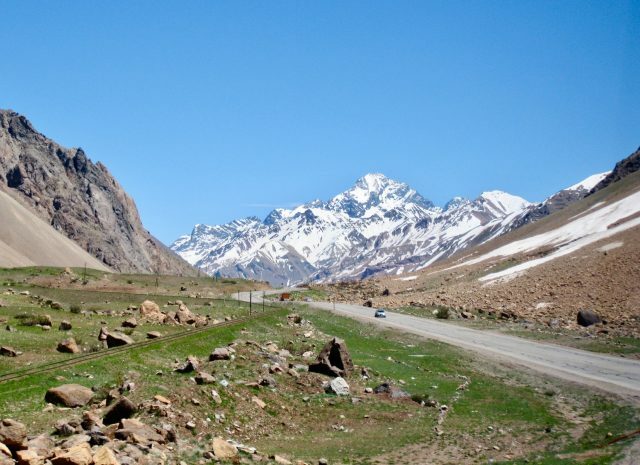 Driving through the Aconcagua Valley. 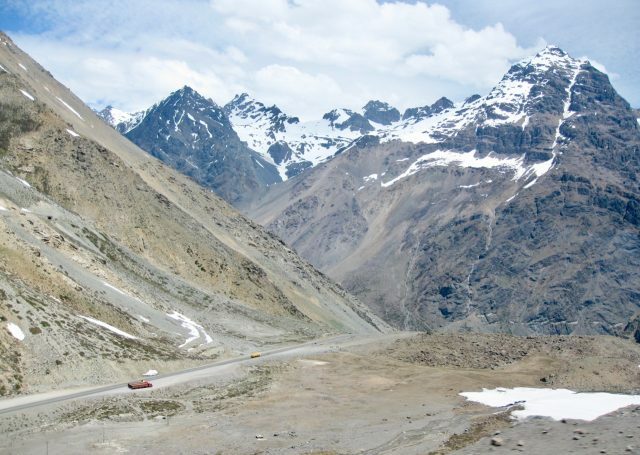 Read about an Andes crossing by boat! The valley opened out into a broad plain as we left the mountains behind us. 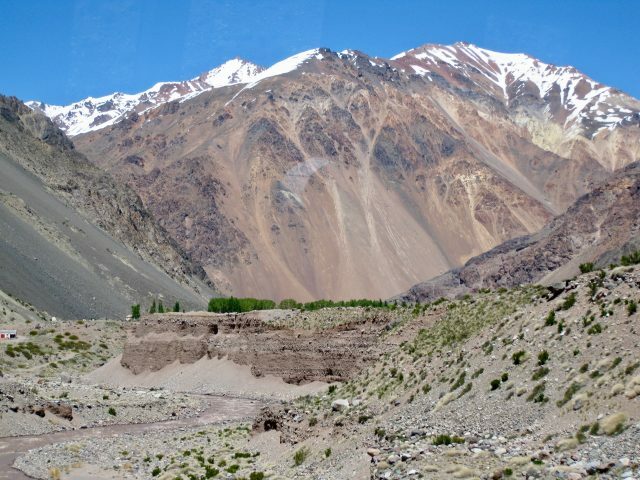 The scenery (vineyards and orchards) looked familiar – I’d visited this area during my tour of the Aconcagua Valley vineyards several weeks earlier. The bus continued through the plain and over the low coastal cordillera (mountain range) and after almost nine hours, we finally reached the Pacific Ocean! Read about my visit to Valparaiso. I can’t remember the name of the bus service I used but it was very easy to book the ticket at the bus station in Mendoza. Hey Keith, I’m planning on doing this trip in December. Trying to get as many of my travel arrangements done back home before heading off, which bus company did you use? Any recommendations? I can’t wait for the descent down the Andes again. Hope there will be a bit of snow to see. Not sure what it’s like in the winter – I was there in early-summer. 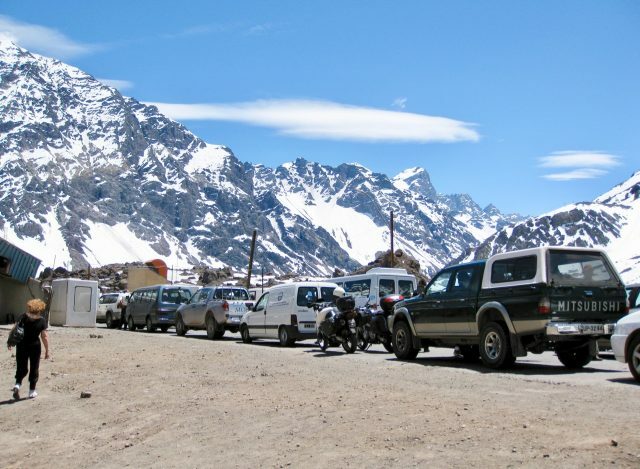 I can imagine the pass could be closed if there’s heavy snowfall. Best to check when you’re in Santiago. The scenery is amazing though. Have a great trip! Very inspiring writing! I’m going to Santiago next week and would like to know if the trip is worthwhile in August (end of winter in Chile). Looks amazing Keith… thanks for sharing! I did this route 10 years ago, i feel old 🙂 But I remember it as though it was last year. Unbelievable beauty! I have never seen so many switch backs once we left the border of Chile heading straight down to Santiago. We did the exact same route Keith, and you are right the scenery is absolutely stunning. I never got tired of seeing the magnificent Andes. There is certainly something special about them. Thanks Garrett for your comment. It really is an amazing region isn’t it? 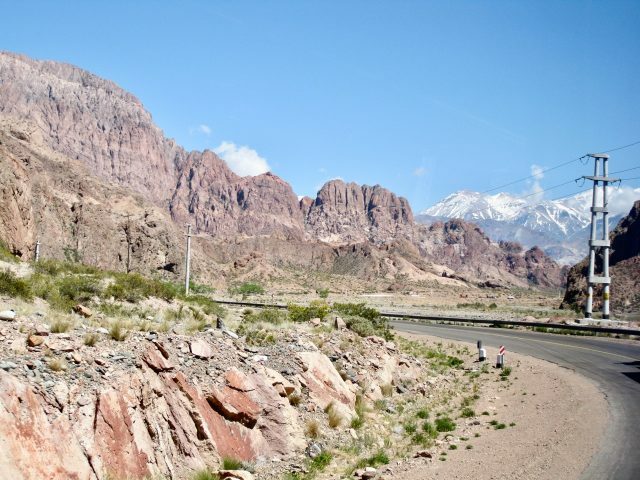 I crossed the Andes at four different points: in Patagonia, the Lake District, Mendoza-Valparaiso and San Pedro de Atacama-Salta (the last is the most spectacular!). The scenery is simply stunning!